Bricks in the street after the wall of an Atlantic building collapsed. A building in downtown Atlantic was evacuated Sunday night after a huge portion of a brick wall collapsed onto the sidewalk below, causing a section of sidewalk to also collapse. The incident was reported at around 6:50 P.M., according to Atlantic Police Chief Dave Erickson. Police received a call about a loud noise at 5th and Chestnut where they found a section of the north wall near the northwest side of the building at 500 Chestnut had collapsed. 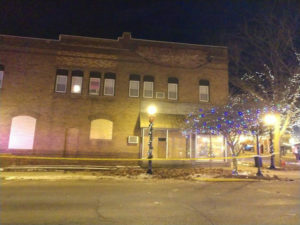 Erickson estimated two-to three tons of brick fell from a section of wall about 20-to 30-feet wide and about six-feet tall, near the top of the building. 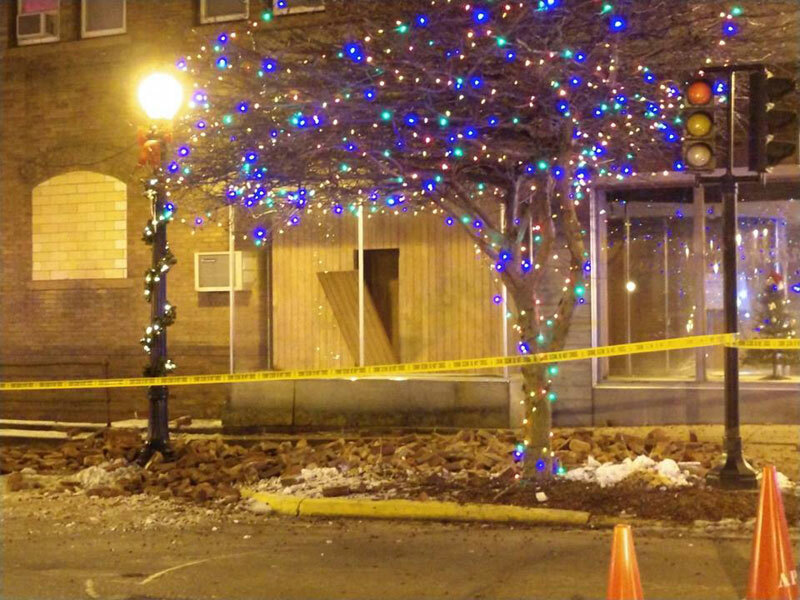 The collapse showered bricks on the sidewalk. No injuries were reported. Three people who live on the second floor of the structure were evacuated. Fifth street was cordoned-off from traffic as a safety precaution. The cause of the partial collapse had not been determined late Sunday, but Erickson said it could have been anything from old mortar to water getting underneath the bricks causing them to loosen and fall. An engineer will have to assess the damage and evaluate the building.